After been beaten by Real Madrid in the Champions League final Jürgen Klopp continues his quest to win his first title with Liverpool. The German head coach has made some remarkable changes to Liverpool since arriving at the club in the fall of 2015. Since Klopp has taken charge of Liverpool, the club’s squad value has increased by €557 million – when he started at the club Liverpool’s overall squad was worth €356 million and is now worth €915 million. No other club in the world had a more significant increase in their total transfer value in the same period. This summer Klopp has once again strengthened the squad. 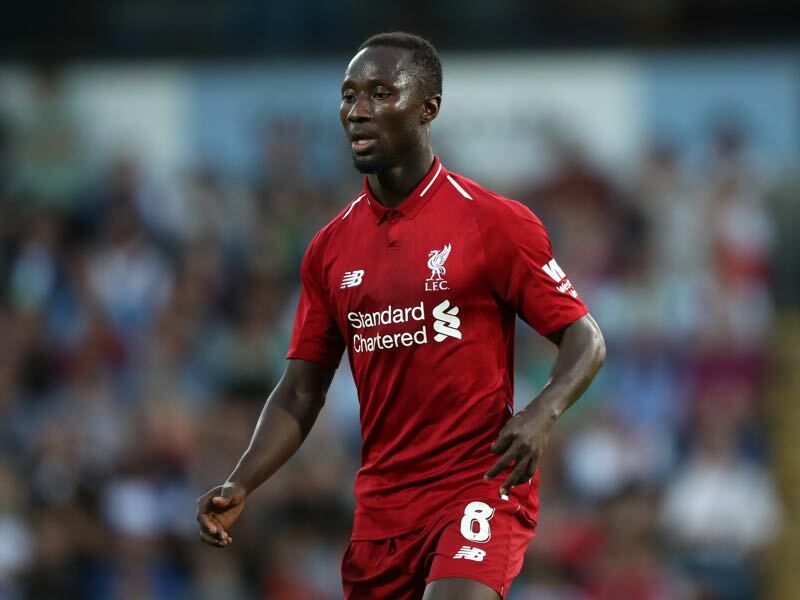 Adding last summer’s signing Naby Keïta (Leipzig) as well as this summer’s transfers Fabinho (Monaco), Xherdan Shaqiri (Stoke) and goalkeeper Alisson (Roma) Liverpool have strengthened key areas in the squad once again. This summer’s transfer window, however, mostly constitutes an evolution rather than a revolution for Liverpool as Klopp is now charged in including the key pieces to a side that finished fourth in England and second in the Champions League last spring. It is a very different story over at Klopp’s old club Borussia Dortmund. Dortmund went through two coaches last season and barely were able to finish in the top four of the Bundesliga. Dortmund also failed to record a single win in the Champions League last season and then were eliminated by RB Salzburg in the round of 16 of the Europa League. As a result, Dortmund are now rebuilding. Dortmund have already shipped out Andriy Yarmolenko, Sokratis and Gonzalo Castro to make room for young and motivated players. André Schürrle could be soon added to that list as the former German international is currently away from the squad to negotiate a deal with another club. Dortmund, in return, have brought in Thomas Delaney (Werder), Marius Wolf (Eintracht), Abdou Diallo (Mainz), Marwin Hitz (Augsburg) and Achraf Hakimi (Real Madrid). The only missing piece, for now, appears to be a striker, which could arrive as part of a potential Schürrle to Crystal Palace deal, with Wilfried Zaha coming the other way. New head coach Lucien Favre is now charged with putting all the pieces together and judging from the International Champions Cup match against Manchester City on Friday the club is well on its way. Dortmund defeated Manchester City 1-0 in a match where Favre used two different starting elevens in the two halves. 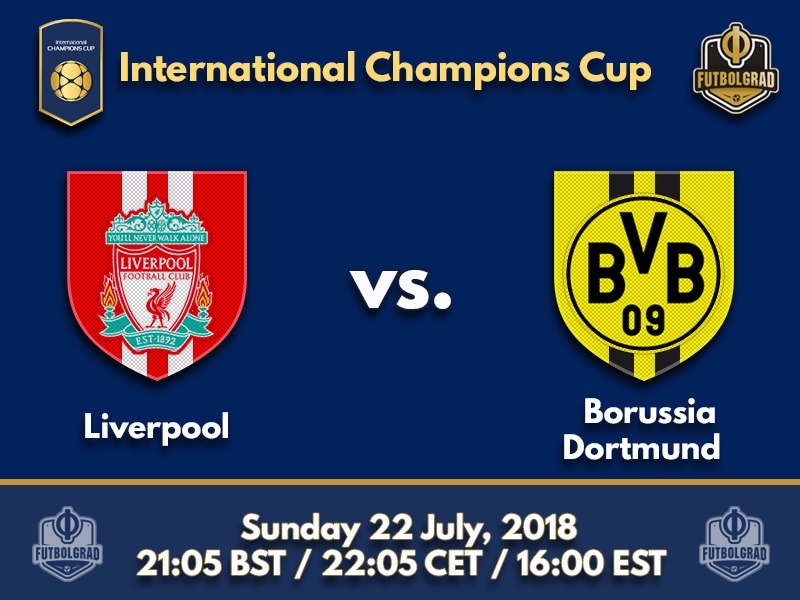 Expect something similar from Dortmund in their second match as Dortmund continue their US tour against Liverpool in Charlotte. Naby Keïta has already featured in some friendlies for Liverpool this summer. But the match against Dortmund in Charlotte will constitute the unveiling of the club’s key signing to the large US fan base. The Keïta transfer saga gripped the LFC fan base throughout last summer with RB Leipzig proofing to be a difficult negotiation partner. In the end, Liverpool got their man on a deal that left Keïta for an additional season in the Bundesliga. There the midfielder helped Leipzig to finish sixth in the Bundesliga and return to international football for the second season in a row. Signed from Real Madrid Achraf Hakimi could make his club debut on Sunday. Left on the bench for the entire 90 minutes against Manchester City on Friday Hakimi is still being eased into the squad after featuring for Morocco at the 2018 FIFA World Cup in Russia. Signed on a two-year loan deal from Real Dortmund own the matching rights for the wing-back, who is expected to challenge Lukasz Piszczek for a position in the starting eleven. New signing Hakimi was part of the Real Madrid squad that beat Liverpool to the 2018 Champions League title. Klopp spent seven years in charge of Dortmund, winning the Bundesliga twice and reaching the Champions League final against Bayern. BVB and Liverpool have met five times in competitive action. The first saw Dortmund beat the Merseyside club in the final of the 1966 UEFA Cup Winners’ Cup. 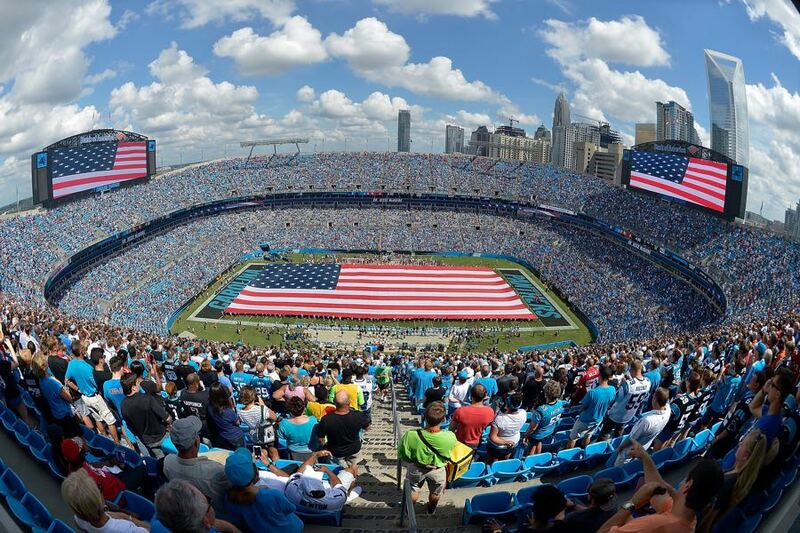 The Bank of America Stadium hosted fellow Bundesliga club Bayern in their 4-1 win over Inter Milan in 2016.